Calgary-based Modern Huts is constructing the city’s first laneway container home in a Killarney backyard. In a backyard in the southwest community of Killarney, three shipping containers are being positioned above a two-car garage to create 480 square feet of living space for Chad Saunders and his wife, Jennifer Head. 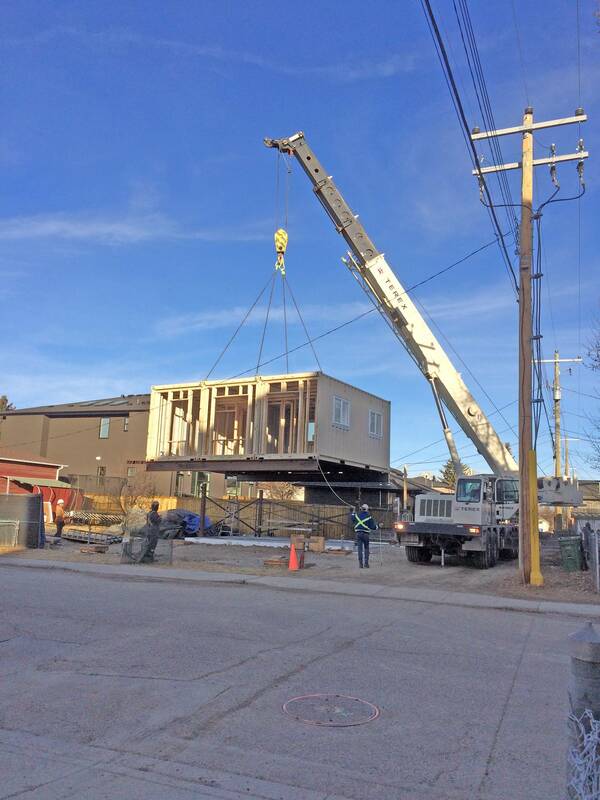 The finished residence will be the first laneway shipping-container home in Calgary. Jeremy Johnson, founder of the Calgary-based builder responsible, Modern Huts, believes it will be the first of many. A rendering of the finished Calgary home, which will provide 480 square feet of living space. 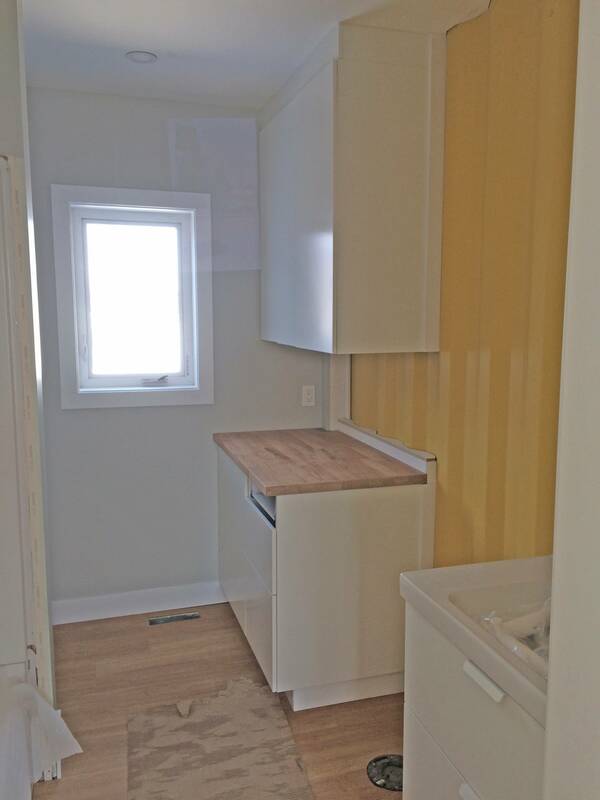 “Most container companies are building laneway homes fully modular and then moving the completed units into position, which is a very efficient and economical way to build, but we’re having to site-build for this project because of the city’s inspection process. They want to see all the processes as the build unfolds,” he says. This has meant Mr. Johnson and his team will be on site for approximately three months, rather than the five days which would be required were they permitted to complete the build off-site. Since starting the project, Mr. Johnson says this particular inspection process has been revised and the city will allow container homes to be built fully prefabricated in future. Despite the challenges, Mr. Johnson says the build, which is his company’s third container home, is going well. He expects the entire one-bedroom suite, including the two-car garage underneath, to come in around $130,000. Upon completion in March, Mr. Saunders and Ms. Head will move into the container suite with their eight-year-old son while Mr. Johnson renovates their 1950 bungalow. Mr. Saunders has owned the property on the corner of 32nd St. and 26thAve. S.W. for 19 years. He bought it as a starter home but, as the years passed, he and his wife started talking about paying off the mortgage and renovating, rather than moving. The couple have no firm long-term plans for their garage-top property yet but Mr. Saunders, who works in the arts, says they could end up letting it out to an artist in residence. Mr. Saunders also sees long-term value in having a second residence on the family property. Mr. Johnson says caregiving is one of the main motivators for clients inquiring with his company about laneway homes. Other projects planned for summer include a laneway office for a client in Mount Royal and a solar-powered, hydroponic greenhouse for a client in Briar Hill who’s interested in year-round growing. Both would be fashioned from a single shipping container.